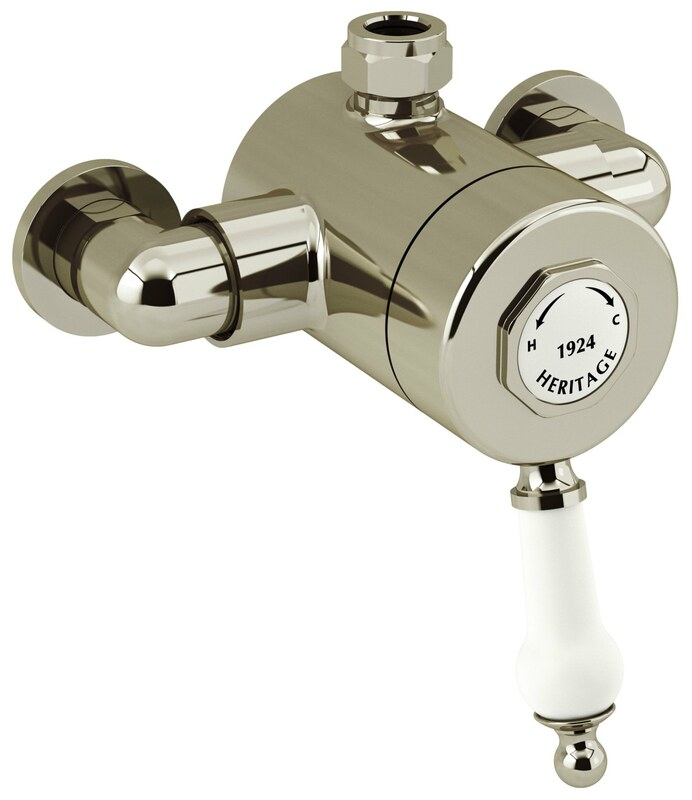 The Heritage Glastonbury Exposed Thermostatic Valve. 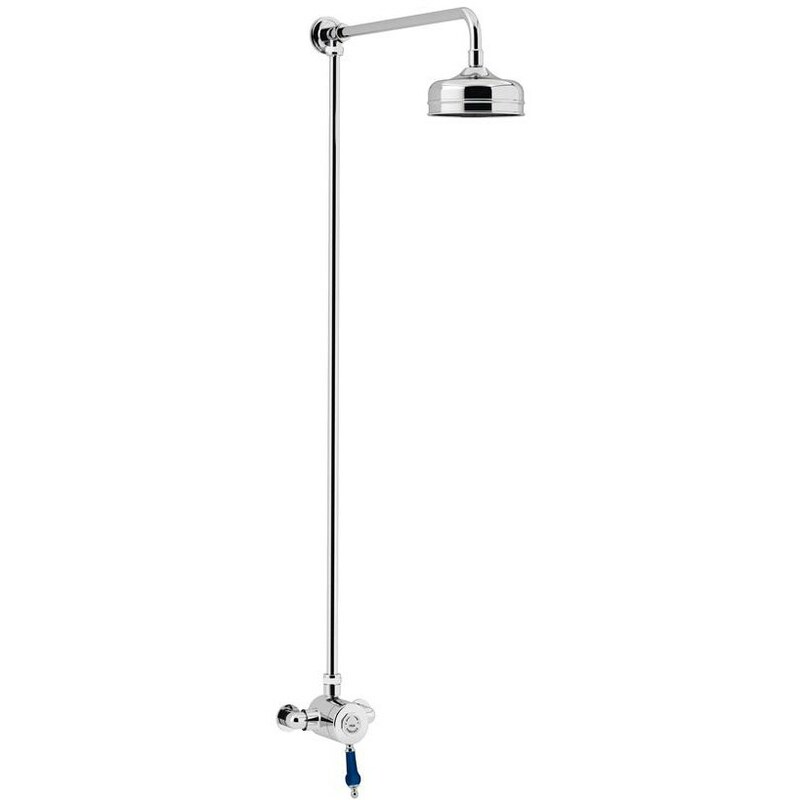 It uses thermostatic technology, so the water temperature remains consistent even if the water pressure fluctuates. 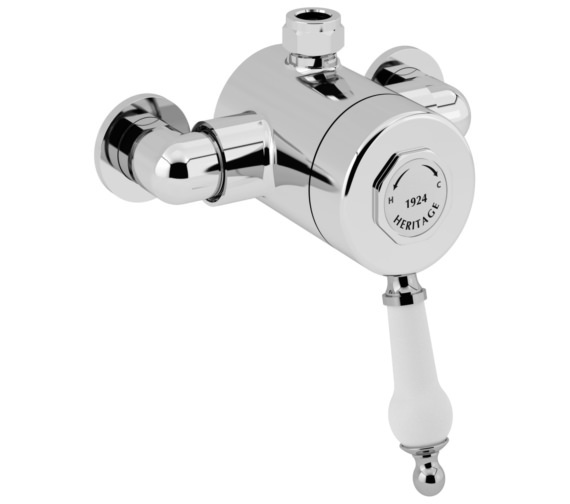 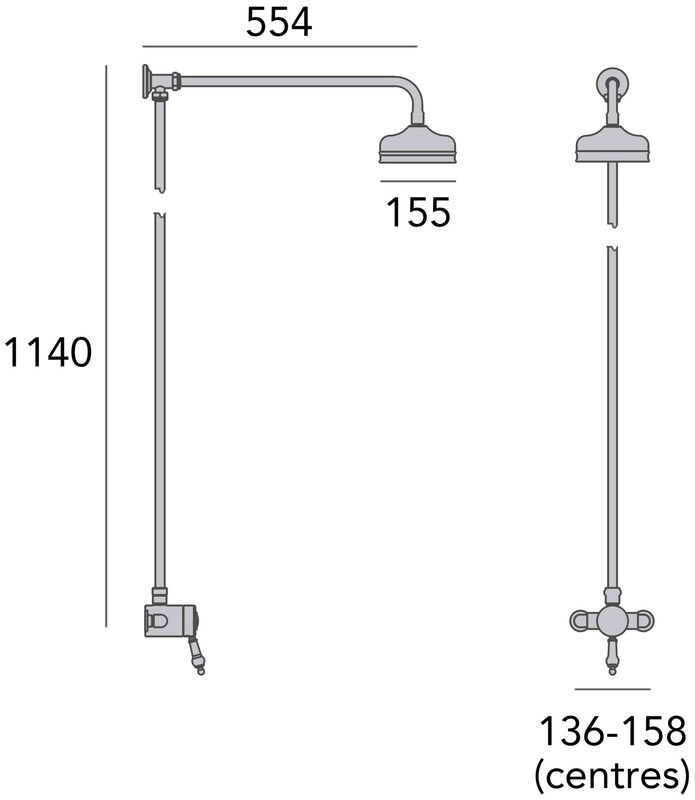 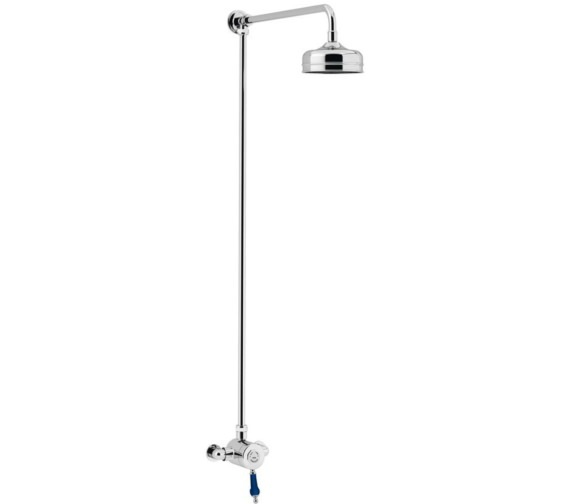 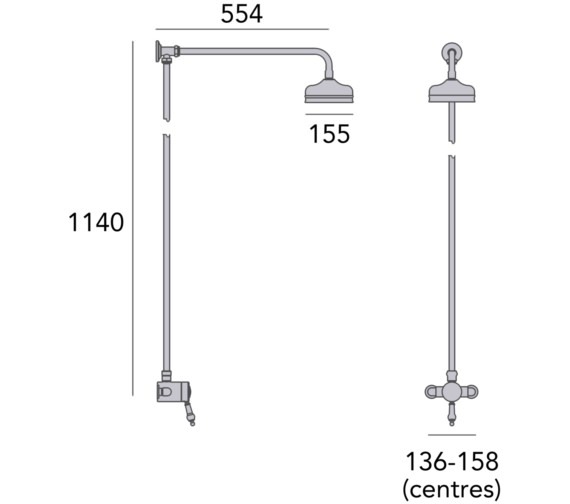 It incorporates an easy to use sequential lever control and handle with white detailing for the management of water flow and temperature. 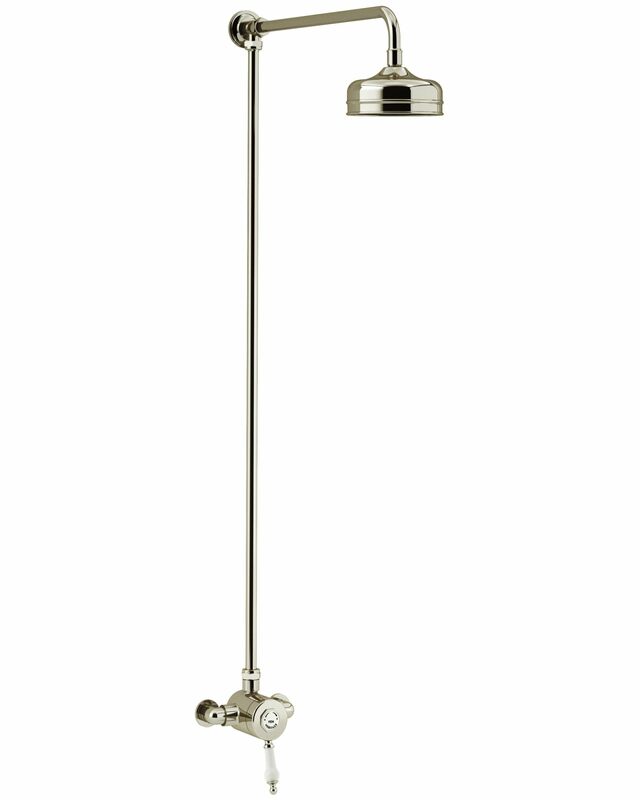 With its magnificent optional finishes of chrome, vintage gold and chrome with midnight blue, the ensemble effectively recreates vignettes of a bygone era with its exquisite craftsmanship and ornate detailing to create a truly inviting shower space. 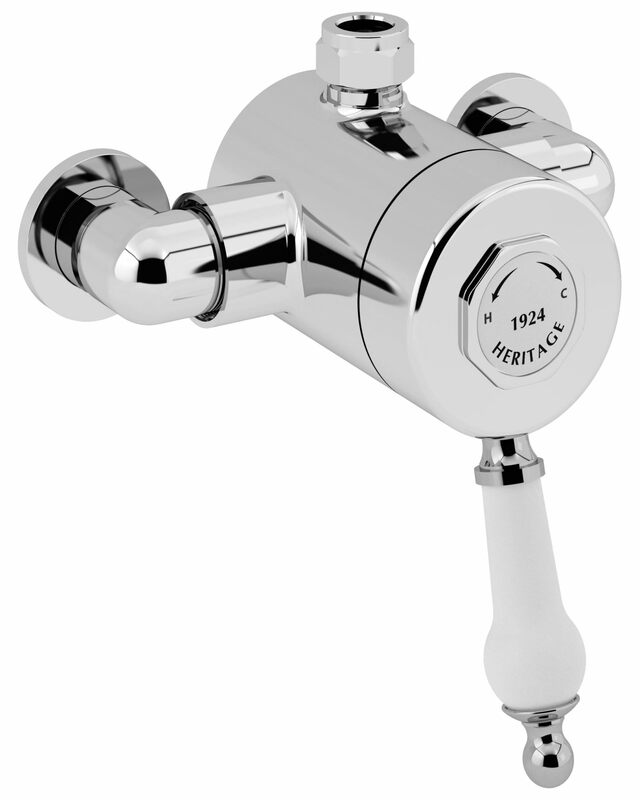 A pre-set max of 42/43 degrees ensures a comfortably warm soak while reducing the risk of unpleasant heat or scalding. It comes with a large fixed rose and a rigid riser rail for an invigorating showering experience. 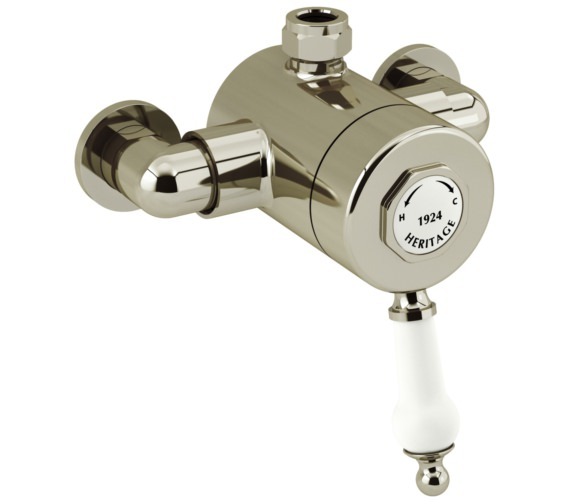 Please Note: Vintage Gold finish image shown is for illustration purpose only.